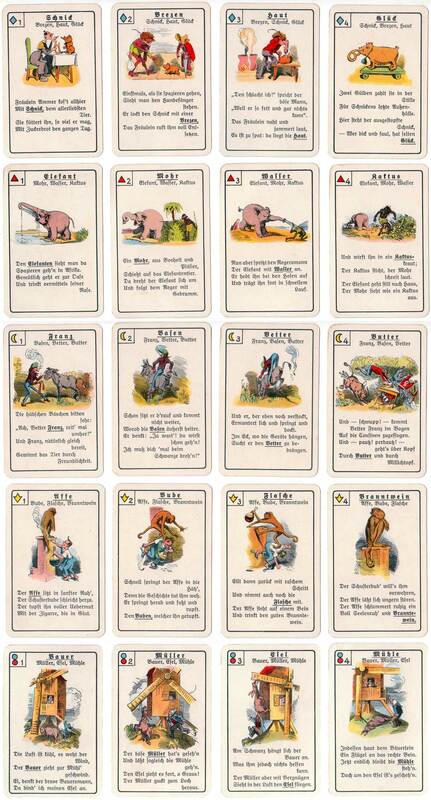 A German quartet game featuring the comic cartoons of Wilhelm Busch (1832-1908) along with witty poems and captions. The cartoons include many cheerful but malicious animals who frequently annoy or outwit their human companions, which has been seen as a mockery or satire of petty-bourgeois life of that time. Busch's clever blend of pointed wit and broad humour earned him the designation “father of the comic strip”, allowing readers to laugh at the comic behaviour in spite of it being a parody of themselves. Busch inspired artists throughout Europe, America and the Far East to develop the modern-day comic strip as we know it, with its subversive and satirical edge. 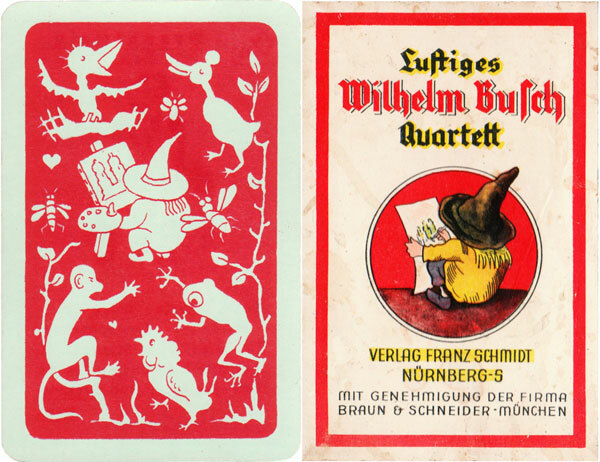 Above: Lustiges Wilhelm Busch Quartett published by Franz Schmidt, Nuremberg, 1937. 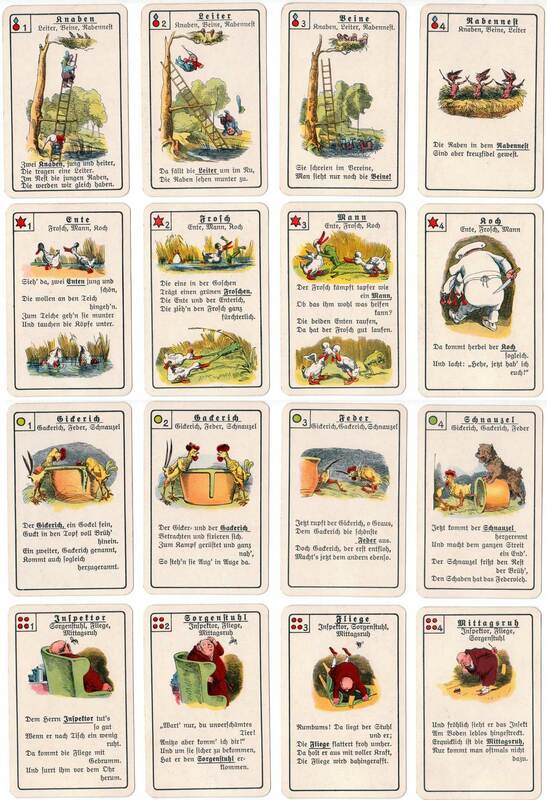 36 cards. Images courtesy Rex Pitts.